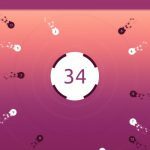 Slow Down is another one of those endless games from casual game leaders Ketchapp, and like most of its back-to-basics titles, it’s available for Android and iOS devices alike. In the game, your goal is to control time with the tip of your finger, tapping on your phone’s display to do as the game says and slow down. You’ll have your share of obstacles to avoid, and new balls to unlock by collecting as many stars as possible. 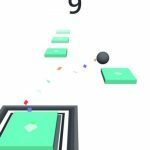 There’s nothing to it, really – you’re basically controlling a bouncing ball, but this time the ball slows down once you tap on the display, and speeds up when your finger isn’t on it. The game’s mechanics are very easy to figure out, but racking up a high score often isn’t. This is the reason why we’ve come up with a set of Slow Down tips and tricks that can keep that ball bouncing and bouncing and your score going up. That essentially says it all. 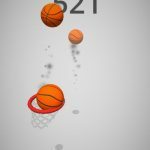 Remember that the ball will speed up when your finger isn’t tapping on the screen. Also, there’s a brief delay between tapping or letting go of the display and the ball’s movement decelerating or accelerating. That’s what makes the game challenging; you’ll only find yourself careening into an obstacle if you act too slow for your own good. Once again – the game’s title of Slow Down doesn’t apply to your in-game movements. In order for you to start off as smoothly as possible, it’s good practice to hold down on your phone or tablet’s display. That allows you to move slowly before picking up the tempo; this is usually a better strategy than starting off fast but slowing down as you go along. For each obstacle you encounter and successfully jump over, you’ll get one point. 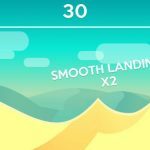 Likewise, if you jump over multiple obstacles in one go, you’ll get the number of points equivalent to the number of obstacles avoided. In other words, you get three points if you were able to leap over three obstacles. Stars are Slow Down’s equivalent of coins, the main and only currency in the game. Once you reach 100 stars, you’ll be able to get a “new ball,” which is more like a new shape in lieu of the default ball. Aside from completing levels, you can also earn stars by watching advertisement videos. Tap on the button that says “Free Stars” and you’ll get to watch an ad video, usually no longer than 30 seconds. Sitting through the video gets you ten stars, free of charge. You may see some scores on the Game Center or Google Play that look impossible to beat. That’s because they are – these are the products of hacks to the game. Instead, go beyond any score in the high thousands and you’ll find some plausible scores you may one day be able to beat.